From ‘nsnbc‘ by Tony Cartalucci (LD). There is no evidence that immunizing vaccinations cause autism while any complications arising from their administration to children are extremely rare, new analysis comprised of 67 research studies has discovered. Here we have a number of issues. all serious. They encompass public health, corporate greed, corporate lies, journalistic responsibility, professional organization integrity, public health ‘watchdog’ authority integrity, bribery and corruption and, the question of ulterior motives. Also important is the element of personal rights – the right of the patient or parent to choose. No question that the well-being of the public is the dominating feature of this presentation, and should rightfully be so in all aspects of the vaccination “debate”. To vaccinate or not vaccinate, that is the question. Many separate factors apply just to this one, basic area. The answer is outside the scope of this article, but the question can be discussed. It is clear that health risks do exist for both the vaccinated, from the actual vaccine and its constituent ingredients, and for the unvaccinated, from a higher risk of catching a disease. The analysis, conclusions and reporting on these relative risks, however, are subject to a great deal of conjecture. Hence, the source article, this post and hundreds of other posts and scientific papers, all driven by various incentives, usually conflicting in content and often in interest. Undoubtedly, some vaccinations are advisable some of the time. For example, a person travelling overseas into an area of known disease risk is a clear example of logical benefits of vaccinating. This still carries with it risks of health impairment and possible lack of effectiveness but it is easy to agree that the risks are substantially outweighed by the benefits. Possibly not always the case, but clearly the best justification for vaccinating is contained in this group. At the other end of the scale, there are examples of the risk balance being almost certainly reversed, raising the valid question of the agenda and associated ramifications. Similarly the application of the HPV vaccination applied extensively to young people, a practice so obviously suspect that several countries have banned its use. “Dr. Dalbergue stated: “I predict that Gardasil will become the greatest medical scandal of all times because at some point in time, the evidence will add up to prove that this vaccine has absolutely no effect on cervical cancer and that all the very many adverse effects which destroy lives and even kill, serve no other purpose than to generate profit for the manufacturers.”” (Gardasil: Are you paying for your own bullet?). In between, there are many ‘grey area’ cases where it is virtually impossible to resolve the conjecture but it is possible to highlight the important facts, reasons for doubt and failures to firmly justify conclusions. There are later figures but these give the picture. Big companies, huge running costs but nevertheless, huge profits. (This suggestion of huge profits does not go undisputed but is a reasonable assumption if we include government grants, purchases and protections). Huge potential for spending on marketing, evident in several ventures including “influencing” the consumer-watch and approval organizations, consumers, overseas governments and the medical practitioners. Huge incentive for maintaining the ‘status quo’ to further develop their business and attract and satisfy share-holders. Huge incentive for corruption if these profits are threatened. Huge incentive to place profit above public health in their priorities. In any case, the facts speak for themselves – the unethical behaviour does exist, regardless of incentives. 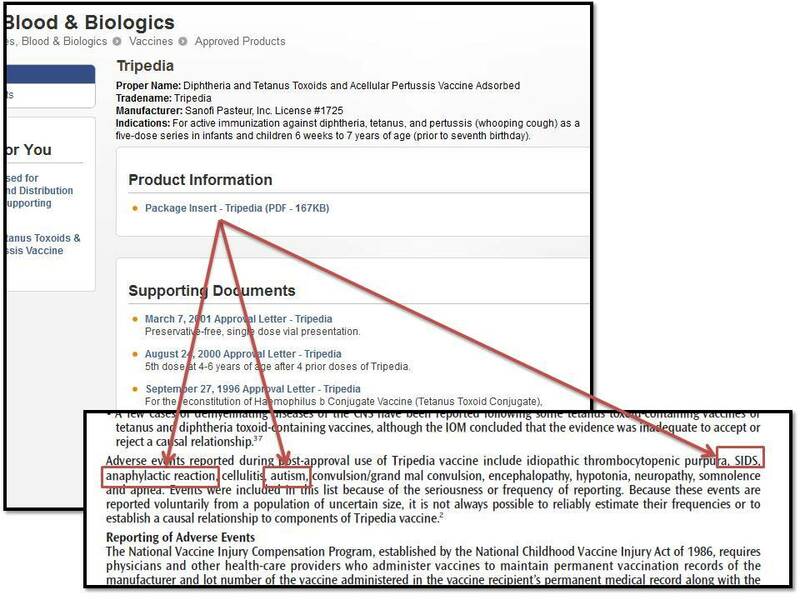 Regarding the specific issue of autism and the industry denial of a causal link to vaccines, the offered “proof” of no link by producing questionable papers finding “no evidence” of a link, is really pushing credibility boundaries. ENCEPHALOPATHY: a disease in which the functioning of the brain is adversely affected by some agent or condition. There are many court cases awarding vaccine related damages. (Note, 1,322 families). Courtney Gidengil, all of the corporate-funded think tank, RAND Corporation. While the report itself was funded by the US government, [see note below], the RAND Corporation from which its authors were drawn is funded by the very corporations (.PDF page 70) that manufacture various vaccines, including the MMR vaccine which was the primary focus of the report. Big-pharma sponsors of RAND include GlaxoSmithKline (GSK) and Merck – that latter of which is listed by the US Center for Disease Control (CDC) specifically as the manufacturer of the MMR vaccine. Even the funding by the US government is suspect because it is probably part of the alleged agenda scene. Related Article: If you want to read some serious scientific damning claims which genuinely support the theme of this post check this link. This entry was posted in Corruption, drugs & medication, HEALTH, vaccines, World Issues and tagged HEALTH, Public health, Vaccination, Vaccine. Bookmark the permalink.